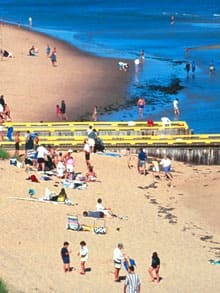 The “Singing Sands” Beach, at Basin Head, Prince Edward Island, is a nomination that speaks for itself, quite literally. Walking along the beautiful white sand produces an interesting sound… akin to singing, or some would say, squeaking. It's a phenomenon that scientists still don't completely understand, though studies have found that squeaking or whistling sand is found where quartz sand is very well rounded and highly spherical. We received many nominations in support of P.E.I. beaches. We’re told that many consider this to be the best beach on the island, and that’s saying something! Appropriately – the strongest pitch for this beach is an audio pitch… so be sure to have a listen! The white sand beaches are numerous and unspoiled, and are home to the warmest waters north of Virginia. I LOVE the beaches that are found in P.E.I. There are always lots of waves to jump through and have loads of fun on. … The water is also usually cold and refreshing. 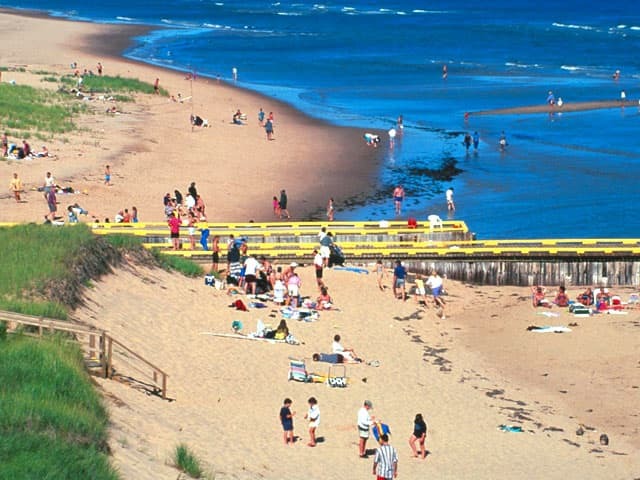 I would like to nominate our beautiful Prince Edward Island beaches as one of Canada's Seven Wonders which I dearly love, having grown up near them all my life. They are so beautiful and ever-changing every season. There is a special right to summer here on PEI, going down to the shore and the smell of the salt air in the wind; Lobster season is upon us with the bountiful catches of Lobster; and the promise of the summer season ahead. Where else would one rather be? Going down to the shore just takes your cares away and you feel you are at peace with the the world. In these troubled times in the world, I feel so lucky to have such a beautiful place to go down to and enjoy. SEE YOU AT THE BEACH!!! !